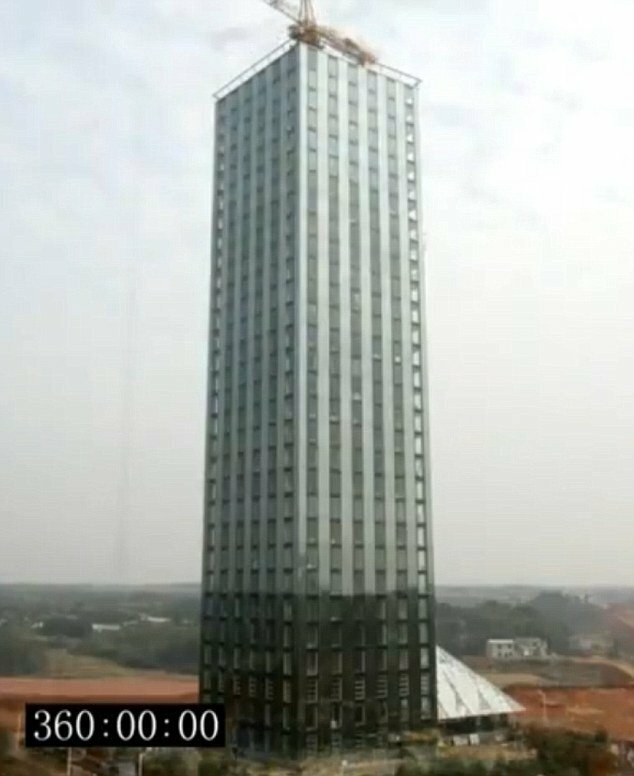 China could claim the title of the fastest builders on the planet after putting up a 30-storey 183,000-square-foot hotel in just 15 days, or 360 hours. It was reported that the construction crew in the south-central Chinese city of Changsha completed this remarkable achievement with no injuries to any worker. The Ark Hotel was built on Dongting Lake, in the Hunan Province, by Broad Group, a Chinese construction company which specializes in sustainable architecture. The Ark Hotel was built to withstand a magnitude 9 earthquake, as tested by the China Academy of Building Research, who claims this is five times more quake-resistant than conventional buildings. All the materials were prefabricated and sections built to specification off-site, so there was very little wastage. The builders took just 46 hours to finish the main structural components and another 90 hours to finish the building enclosure. All of the structure is soundproofed and thermal-insulated. They even have air quality monitoring in every room given the pollution problem in China. While the men didn’t work all through the night, it was often 10:00 p.m. before they packed away their lunchboxes. Builders’ previous record was a smaller 15-story building constructed in just 6 days, but this one is much more impressive. the world's longest, highest suspension bridge has opened in china.